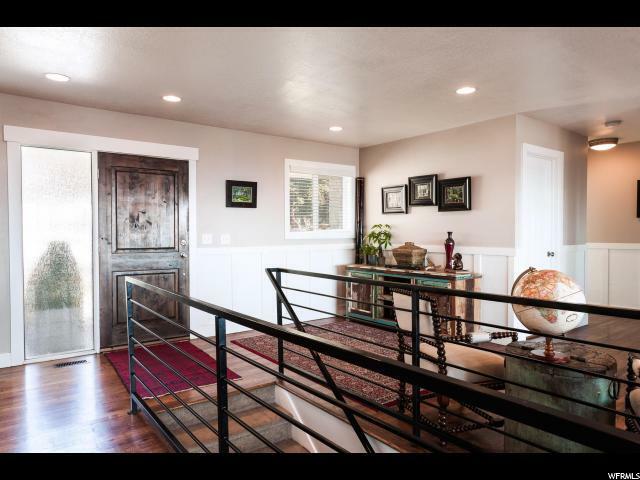 Located on a quiet cul de sac on the East bench, this beautiful Arcadia Heights rambler is perfectly situated to maximize on the surrounding views. 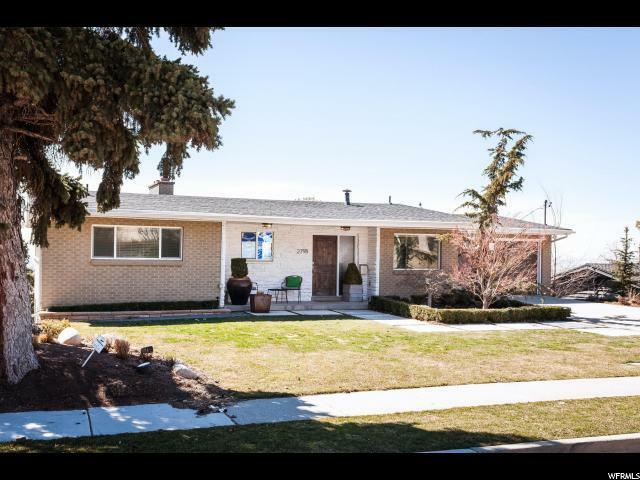 This home has been completely renovated from top to bottom with professional landscaping and 3 levels all above ground. 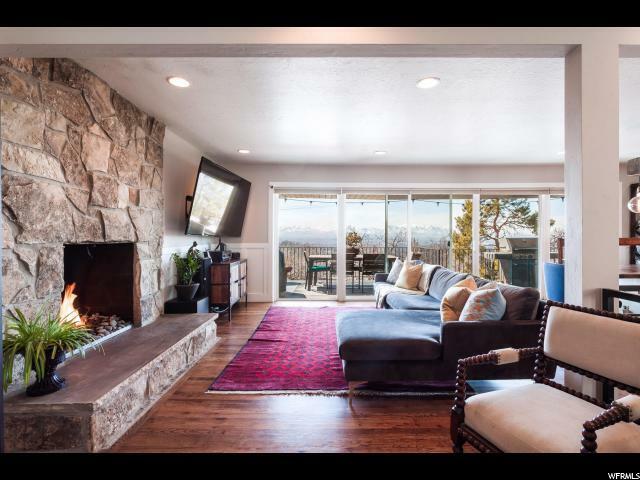 The astonishing mountain and valley views are evident from the moment you walk in the door and the open floor plan allows you to enjoy the scenery from the kitchen, living room, dining room and main level master. The updated kitchen showcases a stainless steel gas range and hood, quartz counter tops, a large island with bar seating and beautiful hardwood floors that continue throughout the main level living spaces. The covered deck can be accessed from sliding glass doors extending the main level living and dining spaces outdoors. The main level master bedroom has windows that perfectly frame the mountain range and an ensuite bath complete with double vanities, a walk-in shower and a separate jetted tub. The main level also includes a second bedroom and a full bath with a tile shower/tub combo. The mid-level opens up into a great room, perfect for family gatherings and entertaining. 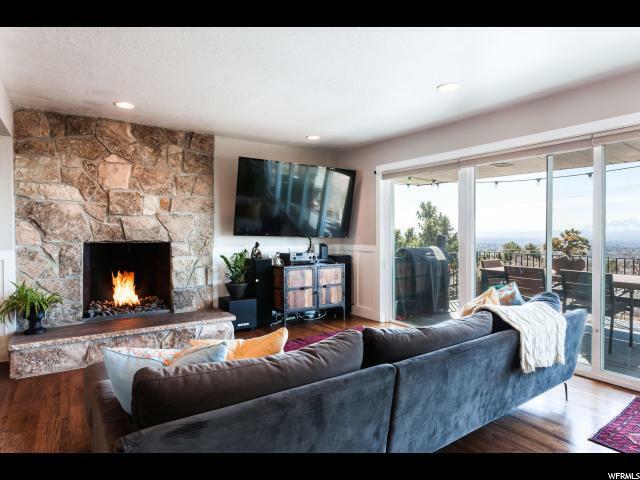 This space consist of a gas fireplace with dramatic stone surround, a wet bar and access to a 2nd covered patio offering more incredible views. Two bedrooms and a full bathroom are tucked behind the family room with an oversized third bedroom that is currently used as a playroom but large enough to accommodate a home gym. The walk-out basement has a family room, an additional bedroom, full bathroom, large storage rooms and bonus room with direct access to the grounds.The backyard offers great privacy under the covered patio with a long lawn area all shaded by trees.